Two meetings tonight will provide key information on various aspects of revitalization and serve as proof of the new collaborative spirit taking hold in Pottstown. #1 For anyone interested in the status of the Pottstown Area Industrial Development corporation (PAID), the entity responsible for economic development in the Borough, there will be a meeting to announce their new board members this evening at 6 pm at the library on the The Hill School campus. The reconstituted PAID board is an outgrowth of a recommendation by the Urban Land Institute in a 2009 report for the Borough to create a single entity for redevelopment and revitalization. See The Mercury’s article here. #2 If you want to know more about what’s happening in the Washington Street corridor and how you can get involved, Genesis Housing is holding a meeting called “Let’s Talk” at 7 pm tonight at the Ricketts Center, where you can learn about new projects and help design a community mural. The Ricketts Center is at 640 Beech Street, Pottstown, PA 19464. Community members will be asked for their ideas for a new mural at the Chestnut Street Park and to help to set priorities and develop future projects. An update on Washington Street neighborhood projects, including the new community garden and the Science in the Park event, will be discussed. Community concerns about this area and other sections of the Pottstown will be explored with the hope of setting priorities for future projects. If a picture is worth a thousand words, then the proposed mural in the Washington St. neighborhood will speak volumes on the tenacity and determination driving the revitalization of Pottstown. Genesis Housing Corporation, The Gallery on High and Citizens for Pottstown’s Revitalization are in collaboration to develop a mural at the park located at Washington and Chestnut Streets. The artistic coordinators, Cathy Paretti and Erika Hornburg-Cooper of the Gallery on High have selected Robert Louis Williams, an accomplished local artist to design and create the proposed park mural. Let’s talk about the different types of murals and what this mural should look like – this is the chance for your input! Judith Memberg, Executive Director of Genesis Housing Corporation, will provide an update on their Washington Street neighborhood housing developments including the rehabilitation of vacant properties for new home buyers and the homeowner rehab programs. Information about the Pottstown Homeowner Rehab Program will be provided. Genesis Housing Corporation serves Montgomery County as a non-profit community development organization and is dedicated to the development of affordable housing and to the education of consumers on housing and financial issues. For more information, visit their website at www.genesishousing.org or call 610-275-4357. Last week I walked into a Pottstown landmark and walked out totally in love with this town all over again. No, the building isn’t on the Historic Register, although the place has got the past written all over it, and its traditional pork and beef hot sausage sandwich – with mustard, relish and onions – is called “old school.” Yep, I’m talking about the concrete extension of the basement at 577 Lincoln Avenue, where Brunish’s Deli has been located since 1938. If you want a taste of Pottstown history and a hearty sausage sandwich, cheesesteak or hoagie, you need to put this on your list of go-to local spots. 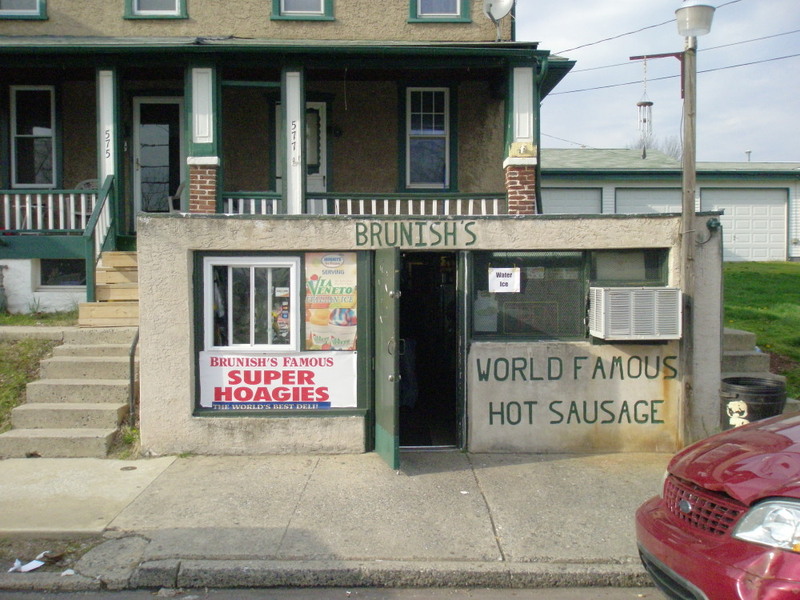 Brunish’s Deli has been a family affair from the beginning, starting in 1937 when the grandparents of the current proprietors – Dan and Bob Brunish – opened a candy, sandwich and mini-mart in a basement a few doors away. One year later their grandparents moved to #577 and set up shop in their own basement. Dan and Bob’s father took over in 1949, and added hot dogs and hot sausage to the menu in 1955. 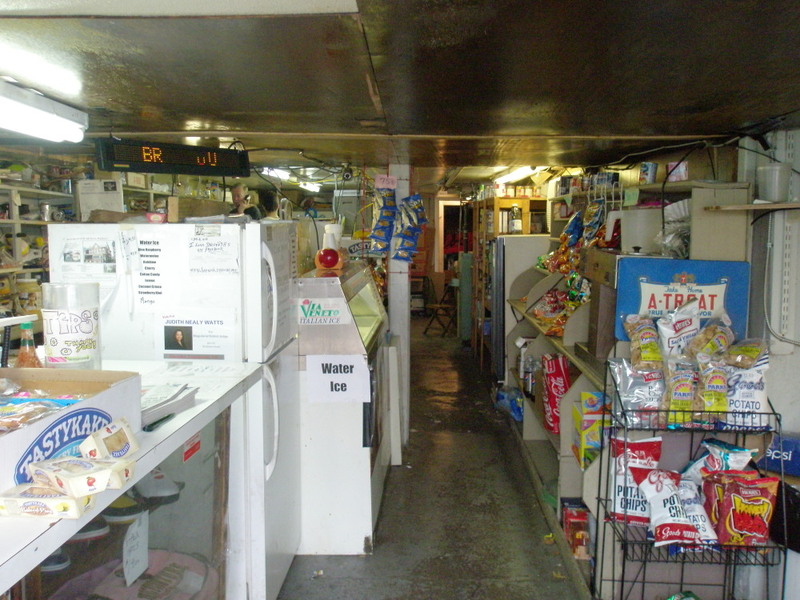 Dan has been running the deli full-time since 1974. Justin Brunish, Bobby’s son, also works there, making him the fourth generation to be in the business. The Brunishes claim to have the last originally-owned family sandwich shop in town. In addition to an extensive sandwich menu, they’ve got convenience items like pasta, sauce, soups, chips, mac & cheese, cereal, soda, and – of course – Tastykakes. They’ve also got some sports gear for sale, most notably, Phillies hats and jerseys. If you want to experience something real, check out Brunish’s for the food, the atmosphere and the architecture. While the 6’4.5” ceiling is just barely high enough for 6’4” Dan Brunish to stand up straight, the cocoon-like surroundings and the friendliness of the Brunishes make it feel like home. Brunish’s is on the web at www.brunishgroceryinc.com. And check them out on Facebook: they’ve got 1,787 “likes” at I Love Brunish’s!!!!!!! 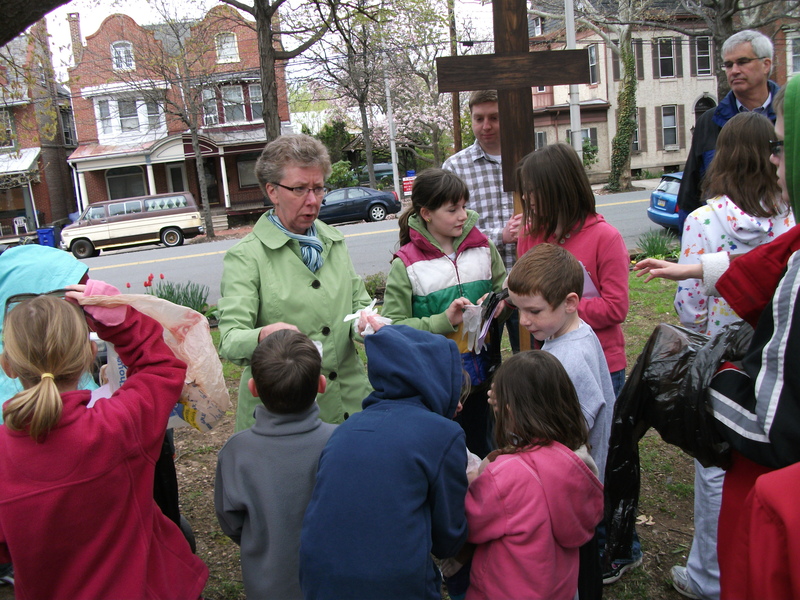 The Pottstown community of faith gathered today for The Good Friday Prayer Processional (aka the Crosswalk). With no rain, and even peeks of sunshine, the walkers enjoyed a brisk one mile walk through town, stopping to pray for our leaders, the school administration, and the people of town. This year, the kids who walked were given an extra charge (and plastic gloves): to pick up trash along the way. The walk today is just the beginning of this holy weekend for area Christians and there are services all weekend for the faithful to mark both Good Friday and The Resurrection on Easter Sunday. Tenebrae (Latin for darkness) services are being held tonight at Cedarville United Methodist, Emmanuel Lutheran and Shenkel UCC. An Easter Vigil mass will be celebrated at 7:45 on Saturday at St. Aloysius on Hanover Street, marking the beginning of Easter celebrations for Catholics. For more information on Easter Services in the area, you can follow the links below to what is really just a sampling of the churches in this town. There is still time to get the kids out to do some good old fashioned hunting and gathering-Easter Style-at the North Coventry Fire Company on Rt.724 in Pottstown. Their Easter Egg hunt, which is one of the largest I have ever taken my own kids to, starts at 12 noon this Saturday, April 23rd. Bring your own basket and put the running shoes on the kids! In Upper Pottsgrove Township, at Heather Place Park, there is also an Easter Egg Hunt, sponsored by the Upper Pottsgrove Township Fire Company No. 1. Their egg hunt is from 11 AM to 1PM. After the Easter Egg hunt, or maybe before the excitement of running through fields in search of candy and other goodies, you can take the kids to see the big fluffy rabbit for pictures at the Coventry Mall. Of course, if you aren’t celebrating Easter this weekend and are looking for something to do outside, you should click on the Parks link at the top of our page. In fact, even if you are celebrating Easter, a walk in the park is the perfect way to get rid of those extra calories the Easter bunny brings! The Schuykill River Trail is just bursting with spring color and you can rent a free bicycle on Saturday at Pottstown’s Tri-County Bicycles on High Street through the Bike Pottstown program and check out the trail. 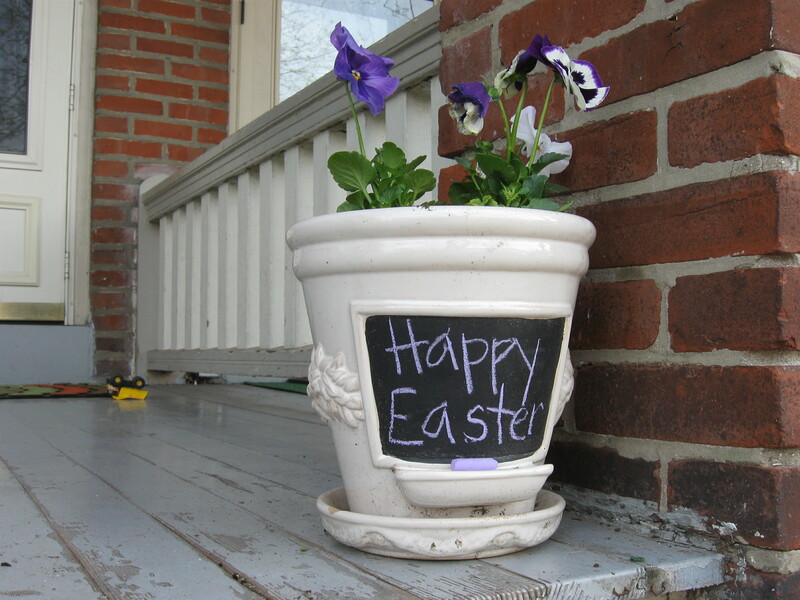 Have a wonderful (Pottstown) weekend and Happy Easter to those who celebrate it! This past Monday, about a dozen members of the Heritage Action Plan working group gathered at the Tri-County Area Chamber of Commerce to review the results of a recent listing and ranking of Pottstown’s heritage resources. The map below – created by Tom Carroll – shows the clusters of historical, arts, cultural, dining and recreational resources in and around the downtown. Some highly-ranked resources received “poor” ratings for physical condition. It’s important to keep in mind that highly-valued resources, perceived to be in poor condition, may be excellent candidates for money or attention to draw the most benefit from them in our promotional efforts. 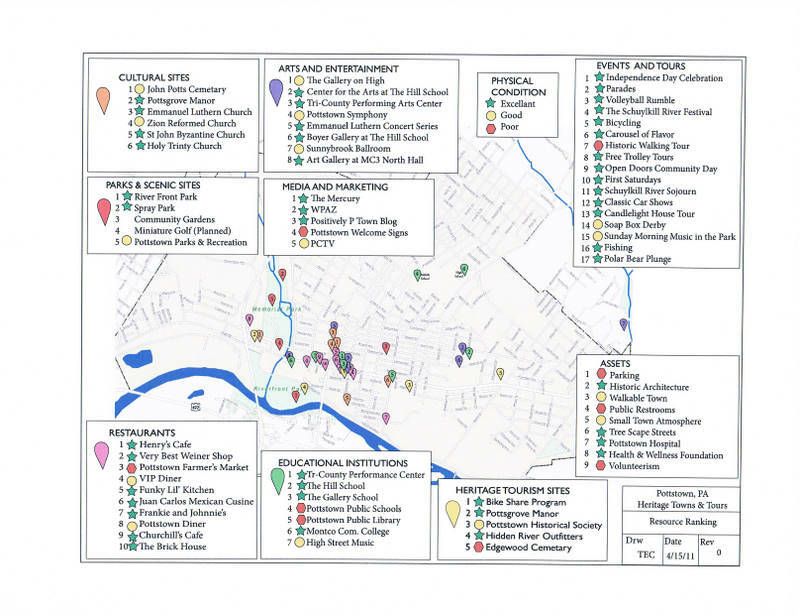 The map also listed major annual or seasonal events hosted in/by Pottstown every year. When these events are shown by the month in which they occur, it becomes apparent that the Borough and various other organizations are holding major events that draw visitors from throughout the region 8 months out of the year. Coordinating & enhancing promotion with downtown merchants and PDIDA could be one of several recommended strategies in the HAP. Creating additional events to fill in the other months would lead to a full year of “hometown celebration” programming. Start giving Historic Walking Tours on First Saturdays, led by MCCC students. Consider giving Cemetery Tours, esp. for John Potts Cemetery, which is now not open to the public, and for Edgewood Cemetery. Coordinate with Pottsgrove Manor. Look into creating a Historic Church Tour; several churches were highly-ranked. Use banners to generate excitement & direct visitors to downtown. Add color! Coordinate with PDIDA & downtown merchants. The group briefly talked about tourism/hospitality amenities that are lacking or need improvement. Safety and cleanliness had been concerns in our first large group meeting back in March. High school students will be cleaning up the downtown on the April 30 Clean-Up Day, and this should be the beginning of more frequent clean-ups downtown by student volunteers. Need to do a better job of tapping volunteers in the community. Involve high school students in creating marketing materials. Need signage, banners, kiosks to get Trail users into the downtown – still must decide how many, what goes on them, where to place them and prioritize list. Need more occupied storefronts, esp. creative-related, for critical mass to attract trail users. Will need lodging for overnight visitors when Trail is complete. Consider a winter carnival in February. HAP partners must continue to have conversations & coordinate with County & PennDOT regarding road projects and trail linkages. We expect to have another large group meeting in the next couple weeks as we solicit more input on a vision statement, marketing strategies, and trail town components like signs, kiosks and connecting paths. The public is invited to join in here or by emailing PtownHAP@gmail.com. Joe describes the way this relatively new town created waterfalls at one of their gateways and at an entrance to a walkway along the Des Plaines River and asks readers to imagine something similar along Pottstown’s Schuylkill Riverfront. With funding from the Schuylkill River Heritage Area and the William Penn Foundation, the Borough is in the midst of developing a Heritage Action Plan. The plan will lay out a vision, goals and objectives, and a marketing strategy for linking Schuylkill River Trail users to downtown resources, such as shops, restaurants, arts, culture, history and recreation. The River and the Trail are key to any revitalization and economic development strategy. A working group meeting is taking place this morning, Monday, April 18 from 10:30am-noon. Anyone interested in being part of the planning or implementation of the Heritage Action Plan is welcome to attend this or future meetings. 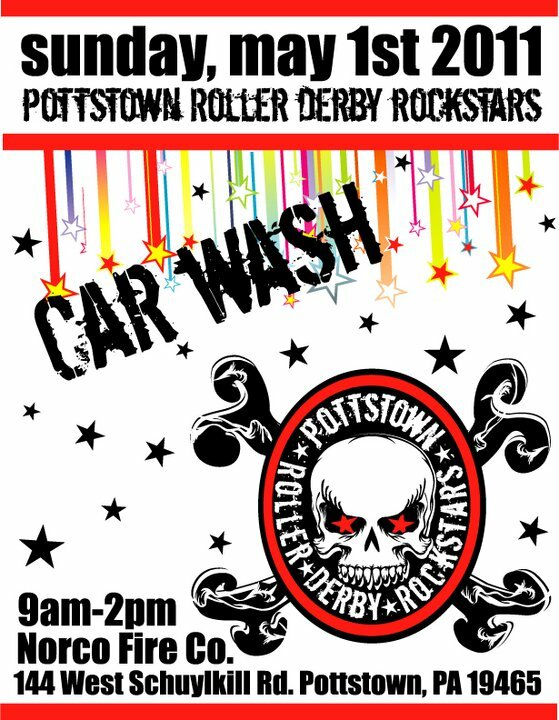 Please send an email to PtownHAP@gmail.com or check out the Pottstown Heritage Action Plan on Facebook for more info. A huge “THANK YOU” to Joe for giving us some creative food for thought! This Saturday, the Easter Bunny will be stopping by Gerald Richards Park in Lower Pottsgrove Township. Bring the kids at 9:30 for an Easter egg hunt in the park, a “bunny hop” sack race and even photos with the Easter Bunny. In the case of rain (which seems more and more likely this spring) the egg hunt and other festivities will take place Sunday afternoon at 2pm.